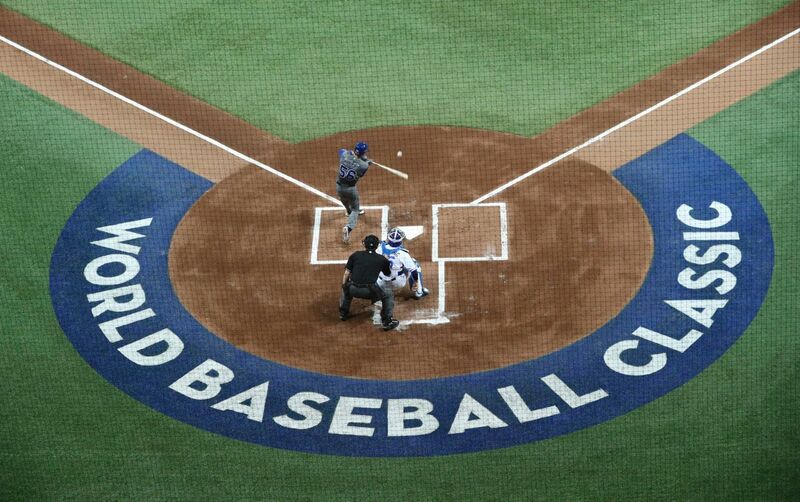 Team Israel beat South Korea 2-1 today in the "kick-off" game of the 2017 World Baseball Classic. The winning run was scored in the top of the 10th inning by Red Sox farmhand Mike Myers (no relation to Austin Powers, but a LF who hit .272 last year in Class A). Myers was drafted by Boston in the 12th round of the 2012 MLB Draft. By the way, if the game had gone to the 11th inning, the WBC rules would have placed runners on first and second at the start of the inning. Talk about dumb.